Update: New codes released worth up to 18,000 points! Woo-Hoo! Want to earn free cat swag? Then join Purina Cat Chow Perks and star earn points from activities. Then redeem those points for free items your cat will love! Get 10,000 free points just for joining! You can also add your birthday and connect your social accounts for more free points! Once logged in click on ‘Activities’ for all the ways you can earn points. Then be sure to check out the ‘Rewards’ section to see all the swag you could score for free! *Remember, you can only add 2 codes per month, so if you already entered two this month you can’t enter more until next month. 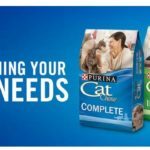 Earn Free Swag with Purina Cat Chow Perks!